TONIGHT’S MATCHUP: The Ontario Reign conclude a back-to-back set this weekend as they host the Bakersfield Condors this evening on home ice. 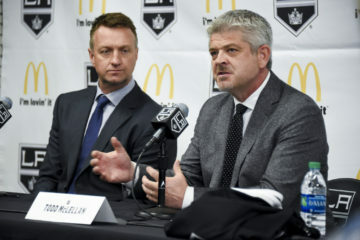 The Reign dropped their first game following the AHL All-Star break, a 6-1 decision last evening in San Diego against the Gulls. WHAT TO WATCH FOR: The Reign were unable to build off of their 5-3 win over Colorado last weekend, as they matched a season-worst with a five-goal defeat yesterday in San Diego, a 6-1 final. Ontario now takes on Bakersfield for the fourth time this season. Neither team has won on home ice in the season series to date, with the Condors winning both games in Ontario and the Reign taking the lone meeting in Bakersfield. The two teams will meet twice more this month, a home-and-home set on February 15 and 16. The Reign held a partial morning skate today at Toyota Sports Center – Today’s skate was optional with Peter Budaj, along with eight skaters participating. 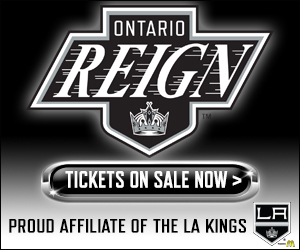 SHAKE AND BAKERSFIELD: The Reign face one of the AHL’s hottest teams in tonight’s game in the Bakersfield Condors. The Condors enter tonight’s action as winners of their last nine games, the longest winning streak by any team in the AHL thus far during the 2018-19 season. With their recent run, the Condors have climbed into second place in the Pacific Division, also boasting the second best winning percentage in the Western Conference. 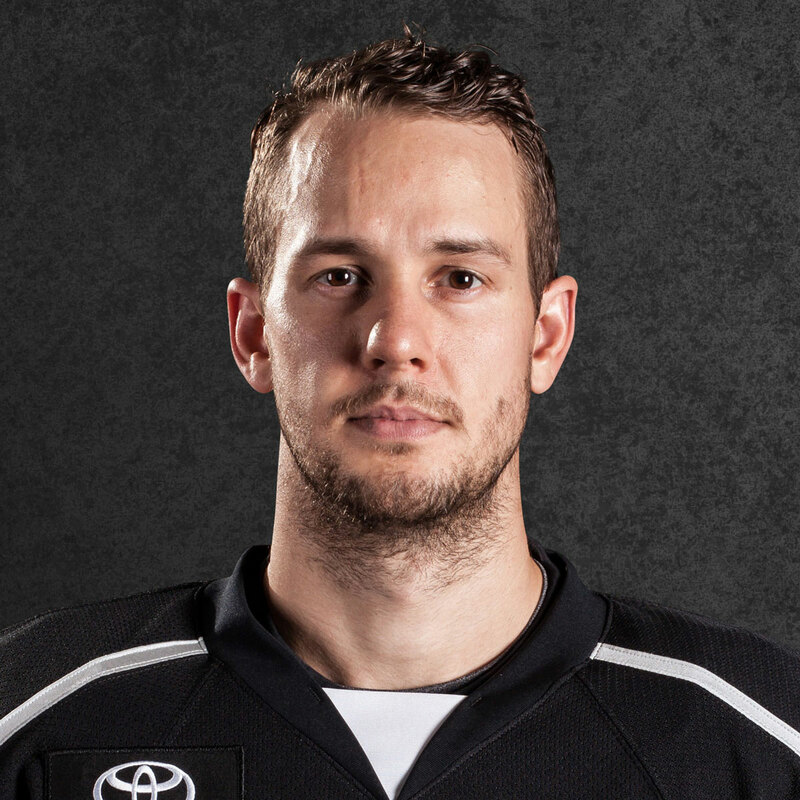 A TOUGH GO OF IT: Despite opening the scoring and playing to a tie through 20 minutes, the Reign surrendered four goals in the second period last evening in San Diego, tying a season-high for goals allowed in a period. The Reign also tied a season-high mark for largest defeat in a game, matching a 5-0 loss in Tucson from December 8, while also posting a season-low with 17 shots on goal. MOULS SCORES GOALS: Ontario forward Matt Moulson scored his team’s lone goal yesterday evening, as he opened the scoring with a first-period marker on the man advantage. Moulson leads all Reign players with 18 goals, 35 points and 17 power-play points on the season through 40 games played. The veteran winger has now scored nine goals over his last eight games played, a stretch that includes three multi-goal games. 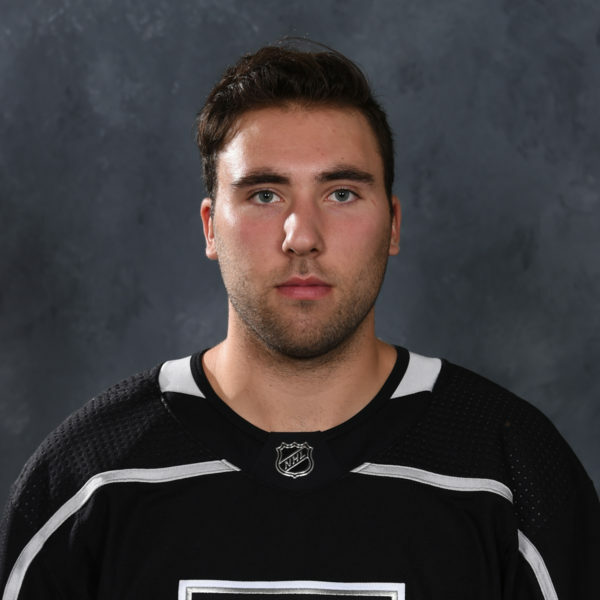 MUCK AND GRUND: Forward Carl Grundstrom made his debut within the Kings organization yesterday evening and collected the primary assist on Moulson’s goal. The point is Grundstrom’s 30th in the AHL this season, including his time spent with the Toronto Marlies. 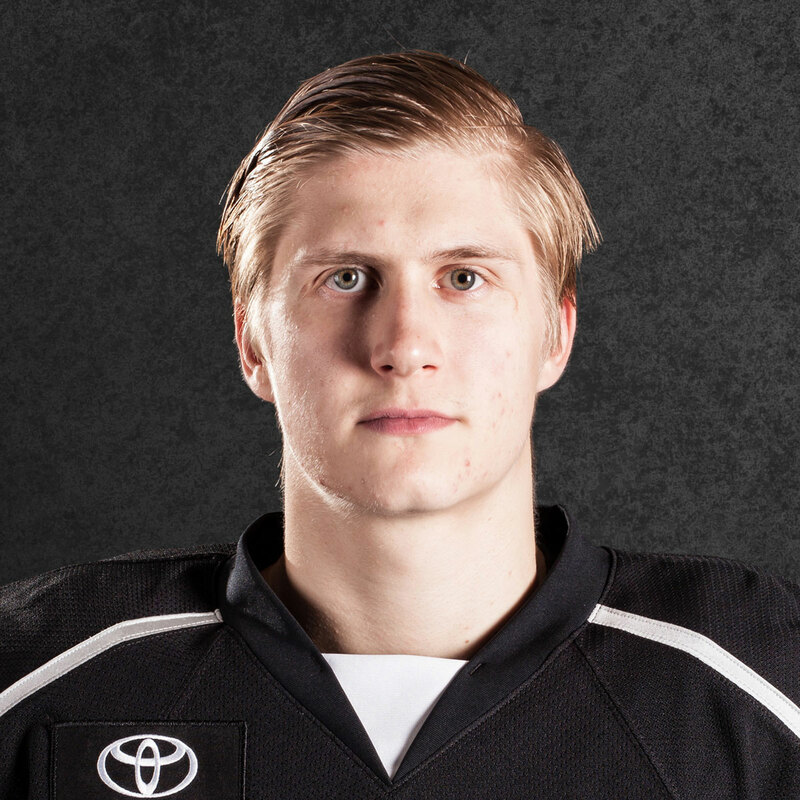 Grundstrom was acquired by Los Angeles in a trade with the Toronto Maple Leafs on Monday, in exchange for NHL defenseman Jake Muzzin. 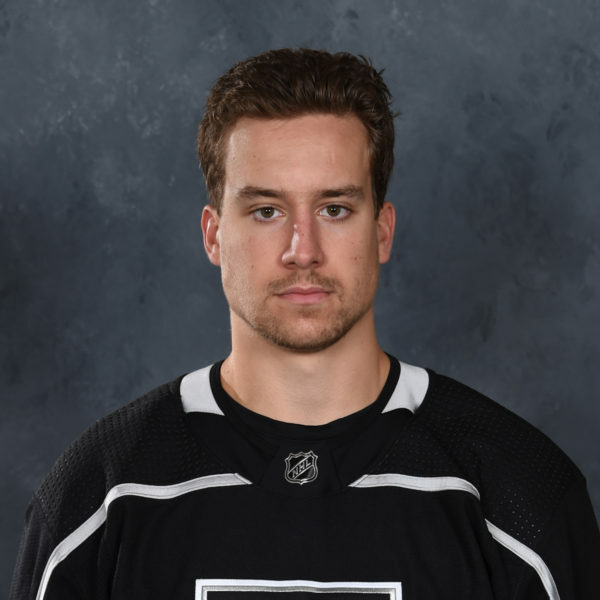 SIGFRIED AND ROY: Defenseman Matt Roy also collected an assist on Moulson’s goal, as he posted his team-leading 12th power-play assist of the season, breaking a tie with teammate Sheldon Rempal. Roy ranks tied for fourth in the AHL in power-play assists (12) and power-play points (16) by a defenseman this season and trails only forward Matt Moulson (17 PPP) for the Ontario team lead overall. 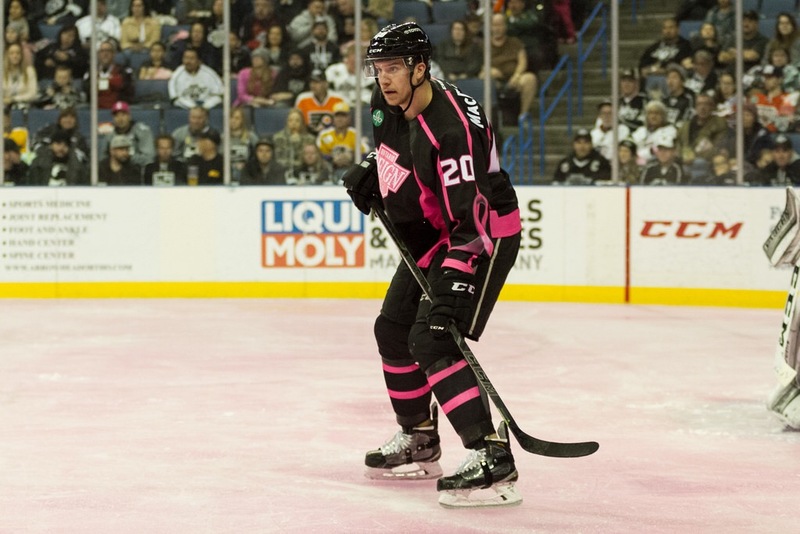 FOR A GOOD CAUSE: The Reign are wearing special jerseys for Pink in the Rink tonight, which will be auctioned off online throughout the day, with all proceeds benefitting San Antonio Regional Hospital’s Women’s Breast & Imaging Center. Fans can bid on tonight’s black and pink jerseys by clicking HERE or by texting REIGN to 52182. Jersey bidding ends after the second intermission.